Strengthening the capacity building on competitiveness for Thai industrial sector and SMEs with regard to environmental issues and social responsibility. - Promote the efficiency and effectiveness in the Thai manufacturing sector. - Enhance the growth potentials in each industry club, provincial chapter and SMEs. - Encourage the entrepreneurs to do business with focus on sustainable co-existence with community. - Act as the private sector representative to suggest and advise in particular problems to the government agencies. -Enhance F.T.I. solidarity and cooperation at all levels. 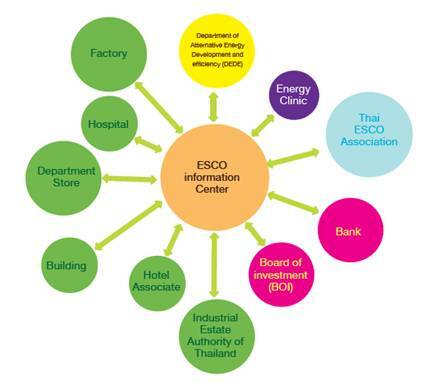 Drawing from a store of experiences and expertise in analyzing energy usage capabilities, the Energy Service Company (ESCO) can help to reduce energy consumption by adapting equipment and machinery in line with measures that have been selected to suit each factory. 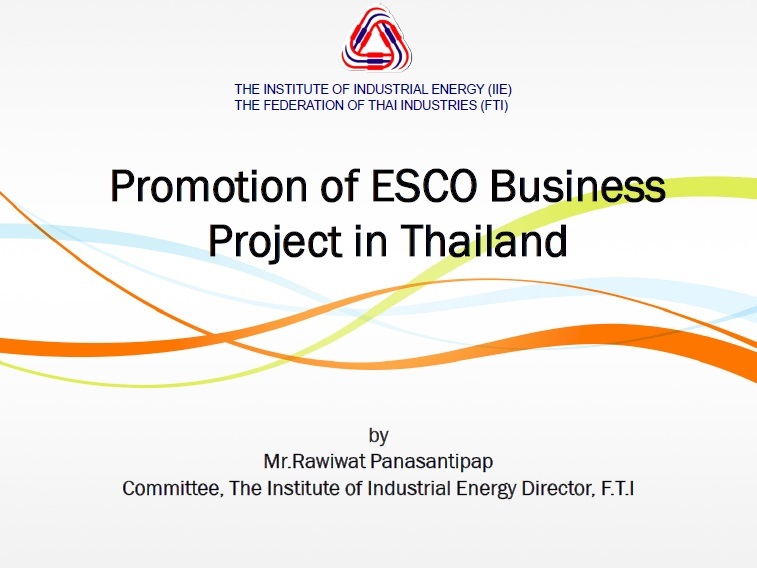 To promote energy conservation under the co-operation between ESCO and business operators in the industrial sector, DEDE has joined forces with the Board of Investment (BOI) in offering tax incentives. This means ESCO will be entitled to tax exemptions in energy-saving equipment or machinery import duties.